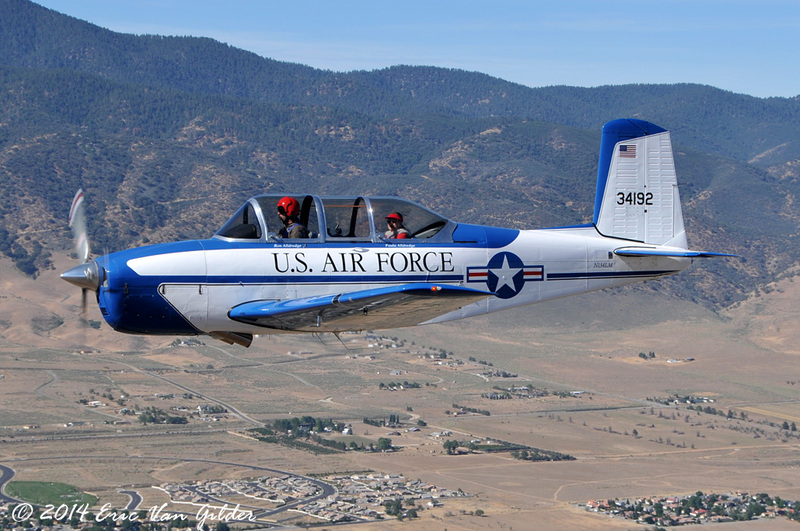 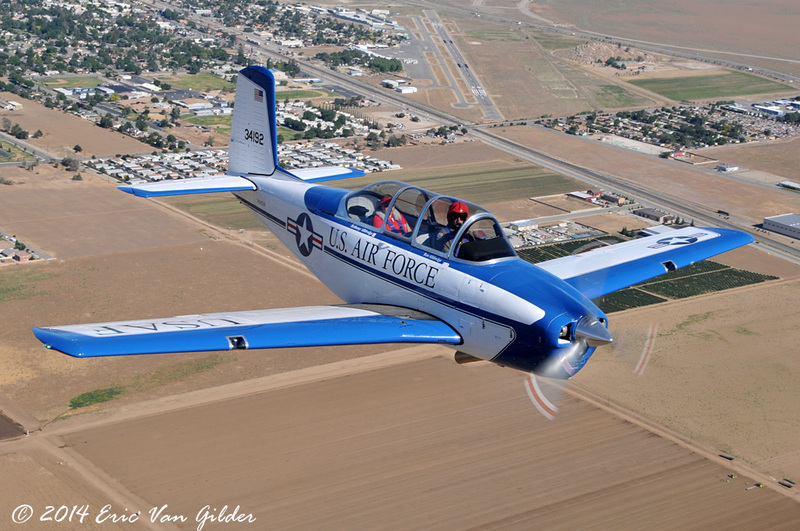 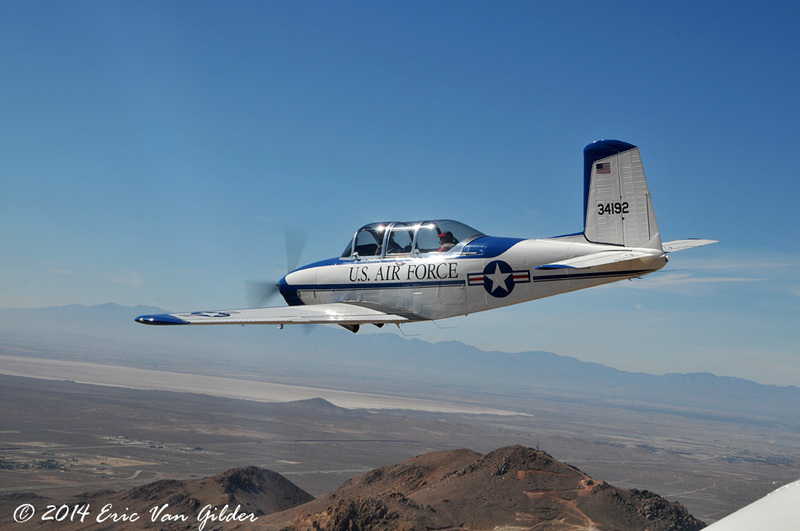 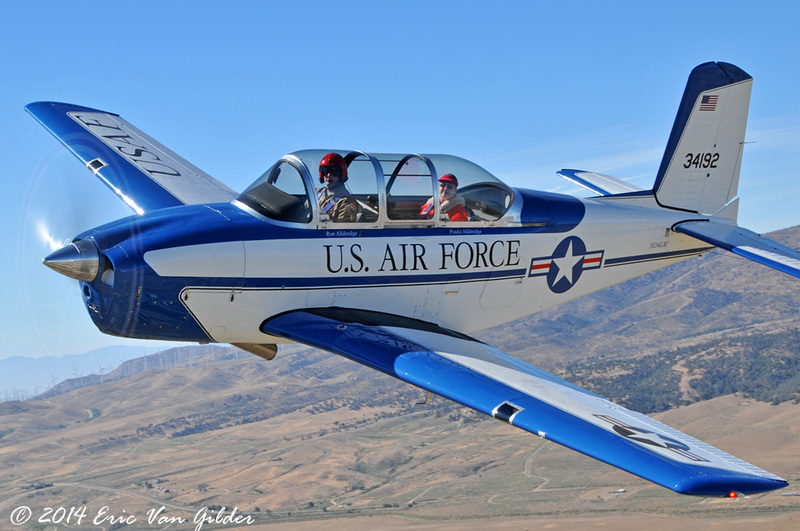 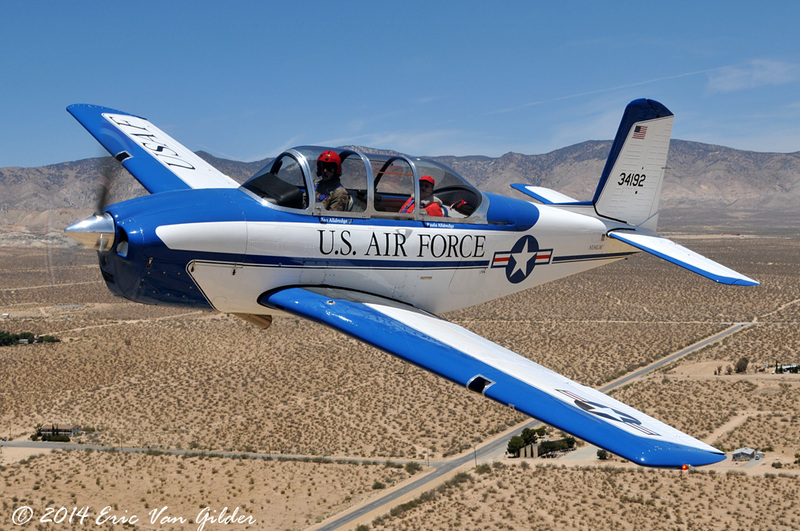 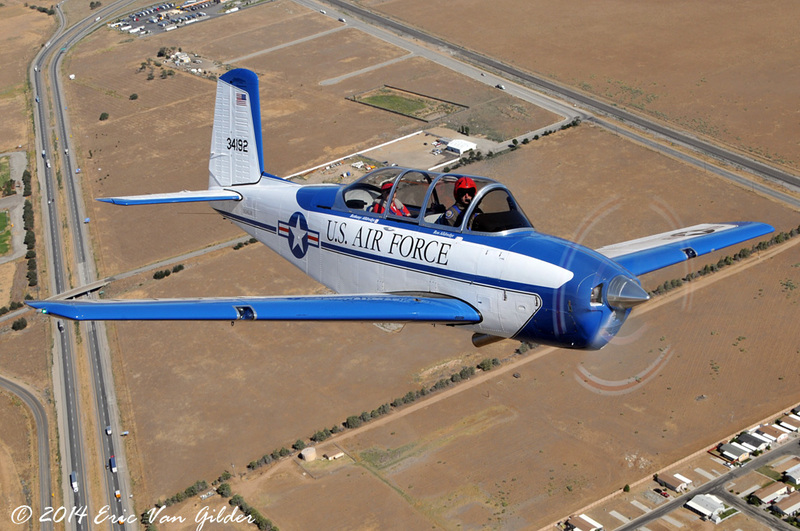 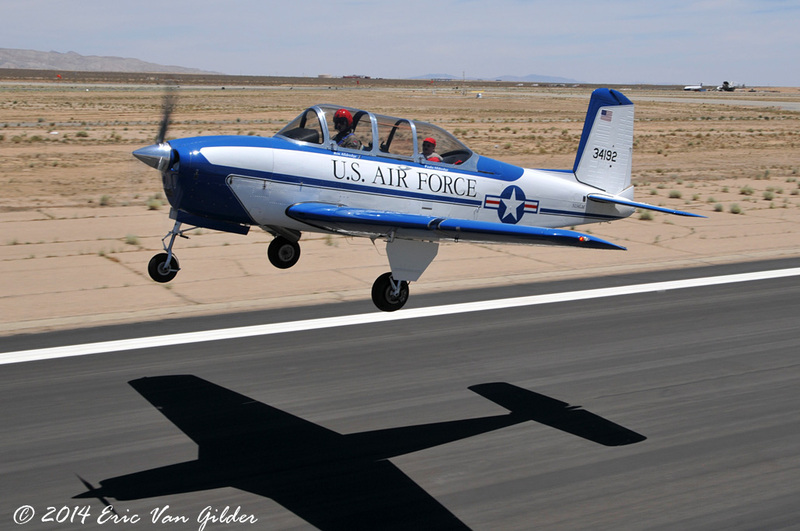 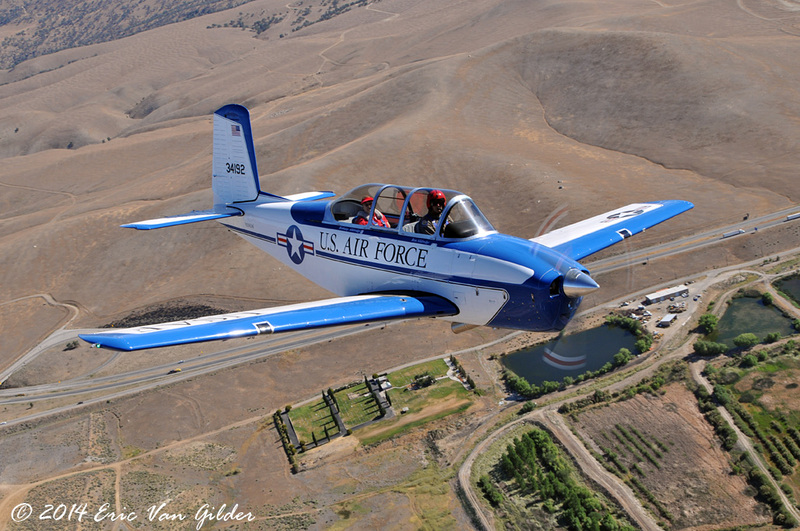 I met up with Mike Hohls on Saturday morning at 7 AM to fly up to Tehachapi to photograph Ron Alldredge's T-34 Mentor air-to-air. 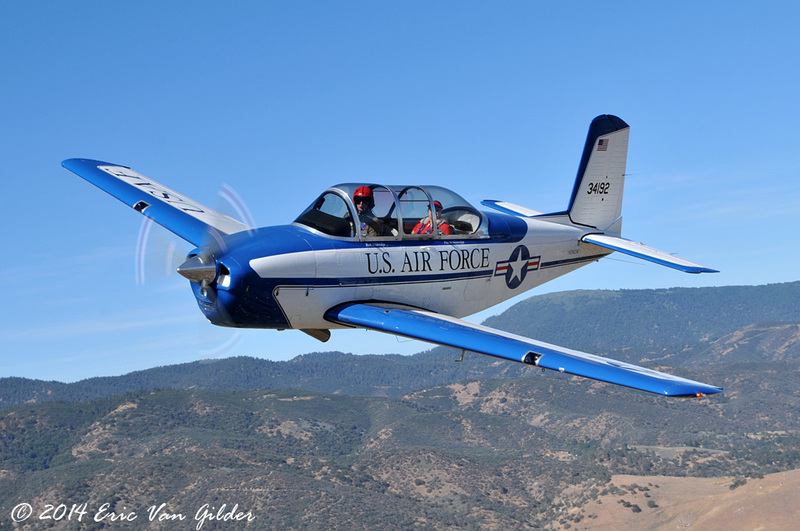 This time of year, getting out of Camarillo can be a challenge with the marine layer that comes in overnight. 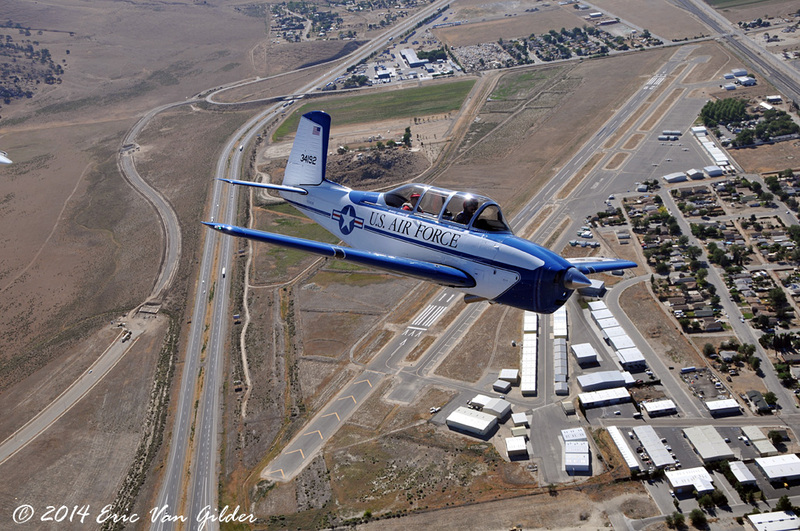 We took off IFR to get above the clouds to head north to Tehachapi, where the skies were CAVU (Ceiling and Visibility Unlimited). 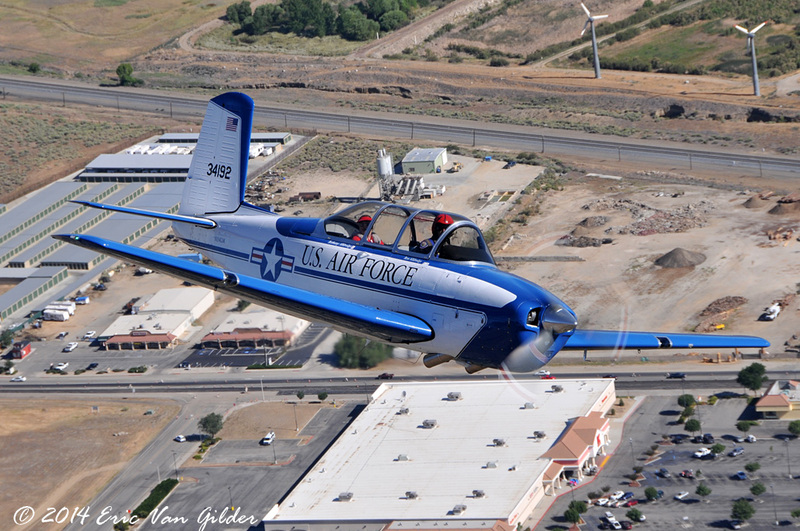 We flew a few orbits around Tehchapi before heading over to Mojave for "Plane Crazy Saturday". 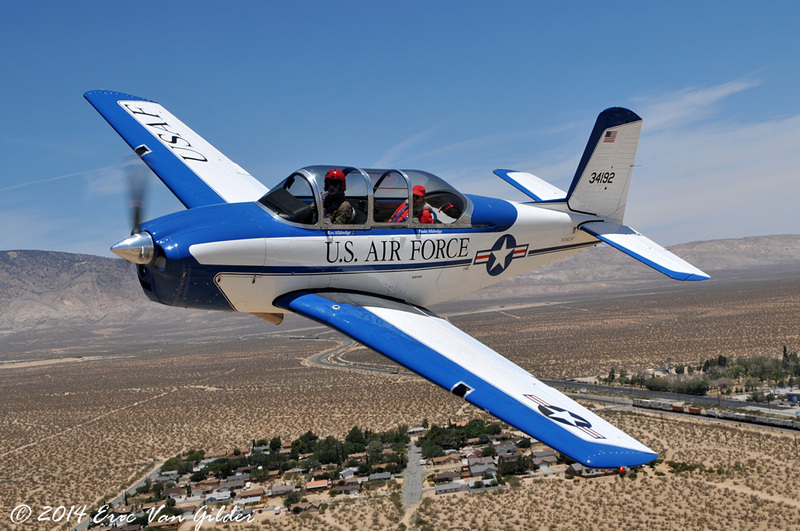 We had breakfast and saw Mike Melvill talk about his first flight in Space Ship One (it was the 10th anniversary) before taking back off for a pass over Mojave and heading back to Camarillo. 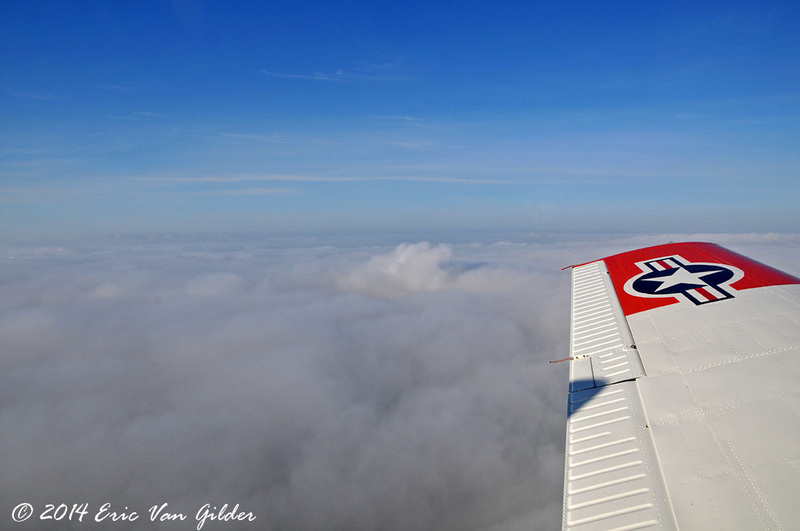 It was a great day with great flying and lots of fun. 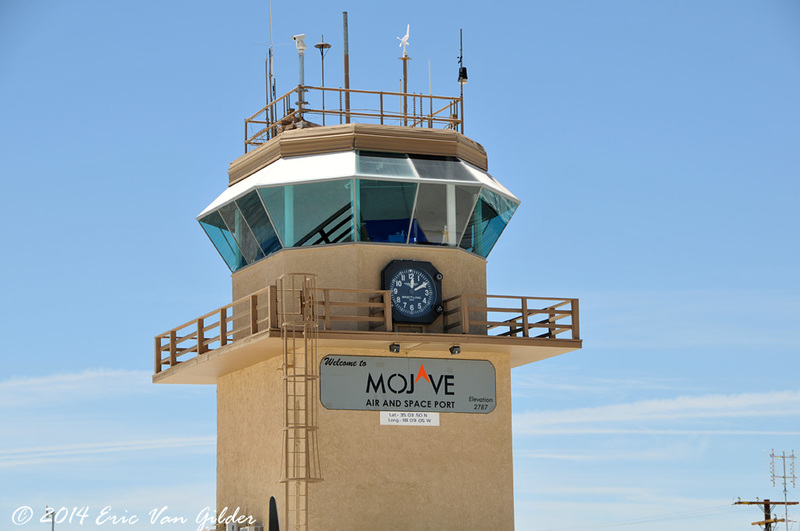 Many thanks to Ron and Mike, and many thanks to the fine folks at Mojave for a great presentation and warm hospitality. 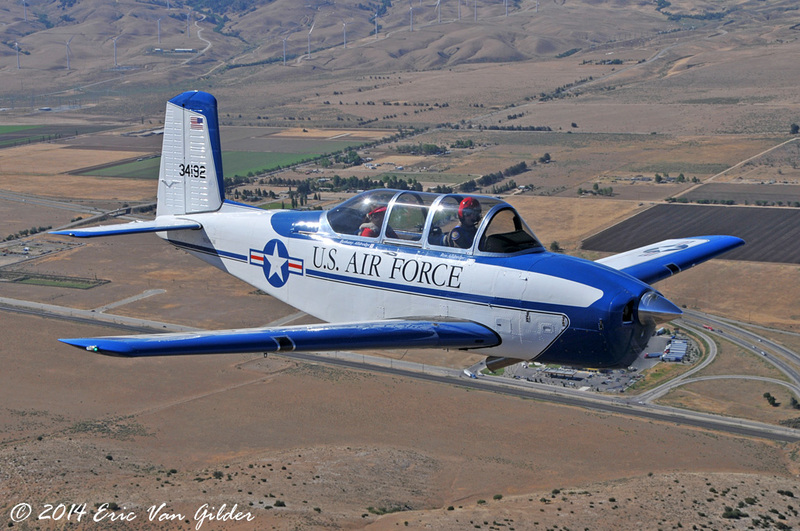 At about 2000 feet, we cleared the clouds to a clear and calm sky all the way to Tehachapi. 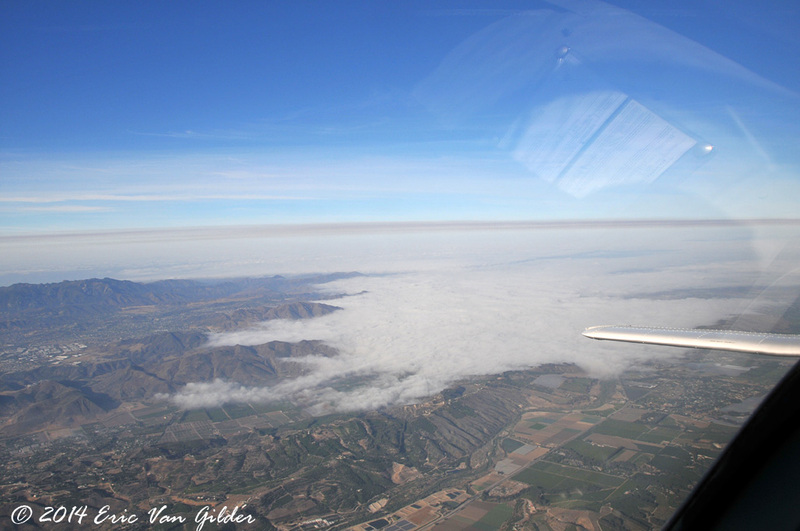 Looking back west toward Camarillo at the marine layer. 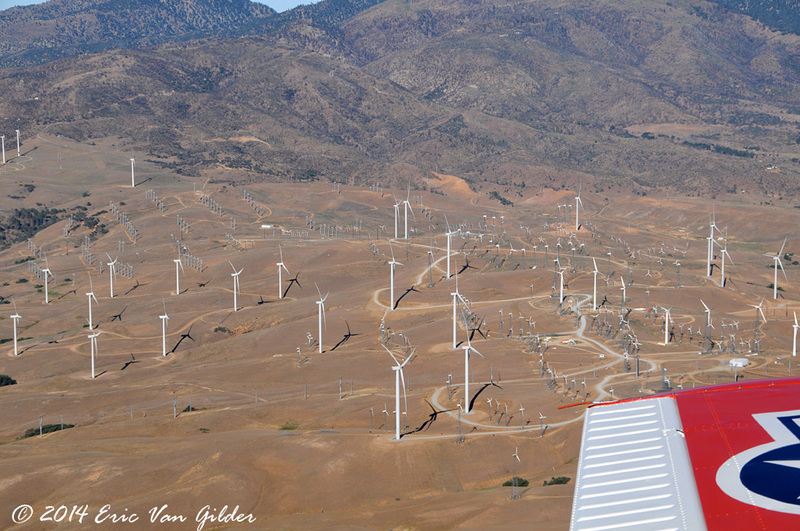 Inbound to Tehachapi the wind turbines are a good checkpoint. 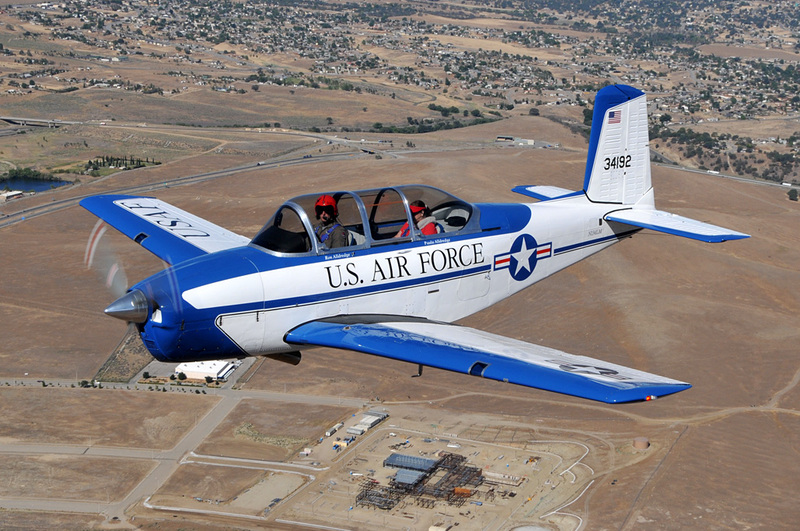 There are tons of them out there. 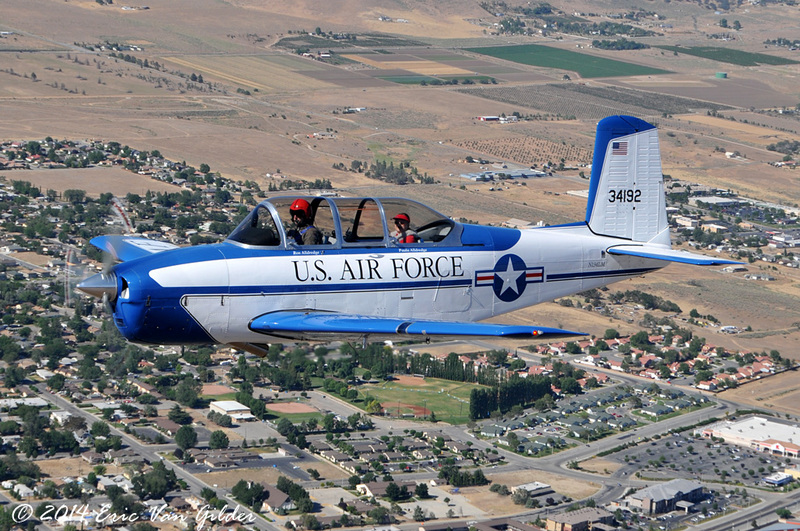 Ron Alldredge and his wife Paula on the join up over Tehachapi. 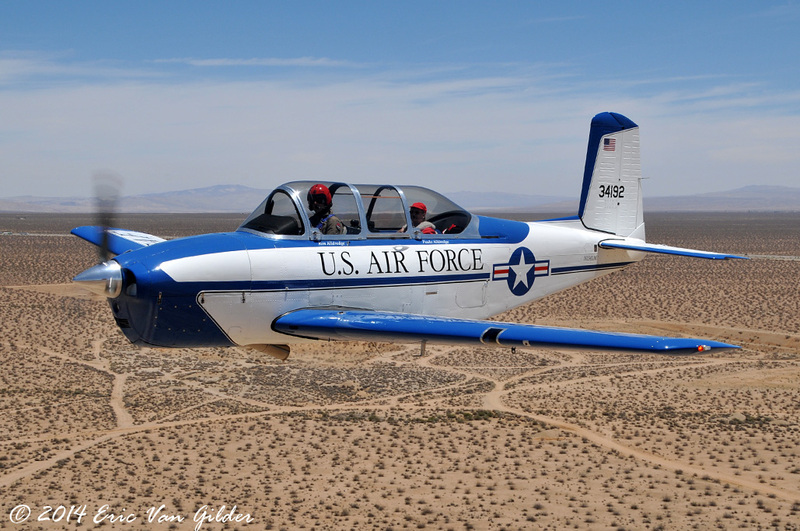 Turning base to Mojave air and space port. 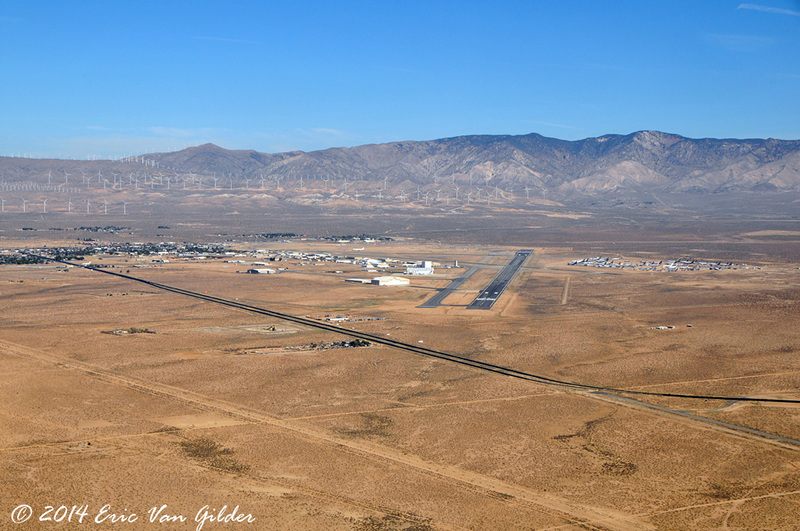 Our destination, Mojave air and space port. 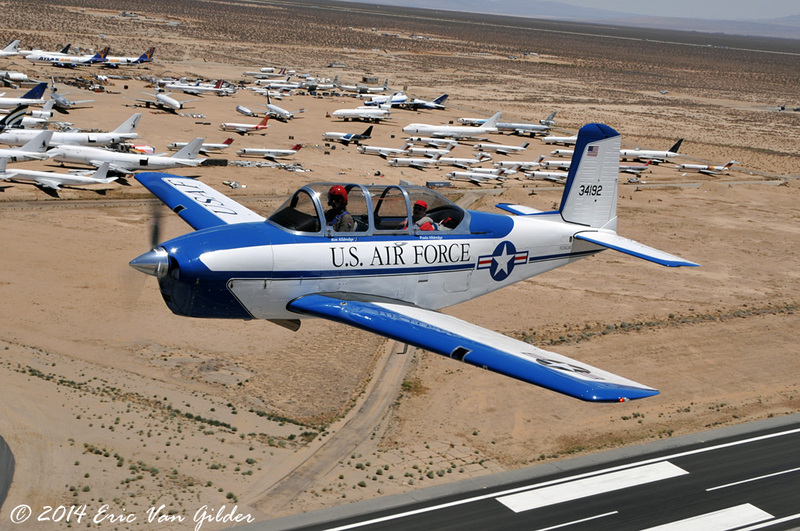 There is a lot of history here. 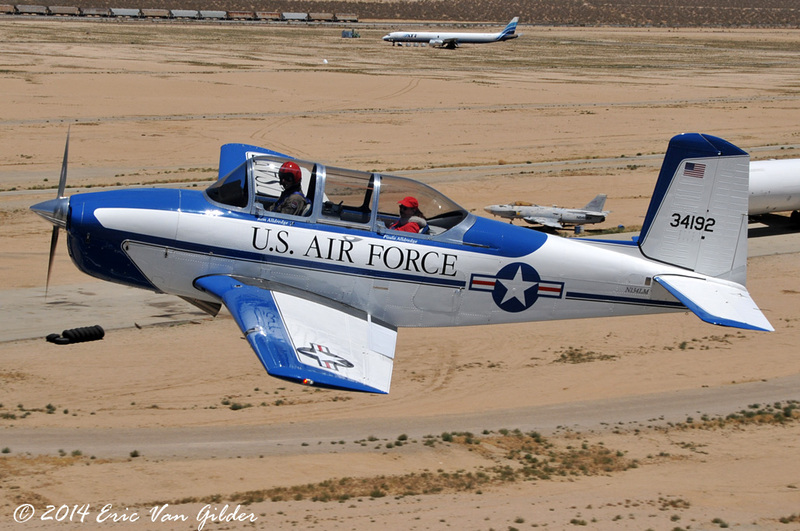 Departing Mojave for a pass over the field before heading home.